Chad beer is an embryonic brewery based in Malmö, Sweden. To get the ball rolling in 2013 we started out gypsy brewing – then over the course of 2015 we assembled our own 400 liter brewhouse in Svedala (just outside Malmö), and the first beers came out of the doors in December 2015. The brewer Chad Paton comes from a career as a scientist (geochemistry in case you were wondering), and this brewery represents a hobby that has grown entirely out of proportion. 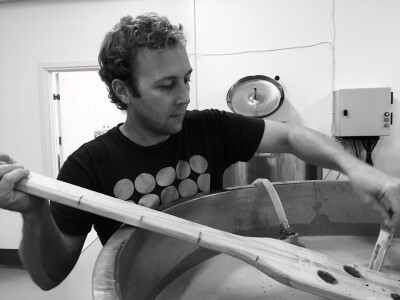 Building off a foundation of almost a decade of experience as an all-grain home-brewer the goal of Chad Beer is simple – to make delicious beer. It is our belief that balance lies at the heart of great beer, and that outstanding flavours can be achieved without the need for high alcohol content. The name “Chad Beer” began as an offhand working title for homebrew, and has since proved impossible to shake, despite every effort by its hapless creator.